The National Assembly (NA) decided to defer the Land Bill 2012 for the new Parliament in 2013 so that an important bill is not hurried-through with little time left and His Majesty the King’s Kasho on land ceiling is properly incorporated. While this was announced, some MP’s also pointed out the benefits of the new Land Bill and also alleged that the media had not given the right picture of the Land Bill. MPs however acknowledged opposition from the National Council (NC) MPs, local government leaders, political parties and citizens expressed in the formal and social media against the Land Bill 2012. The Land Amendment Bill 2012 was introduced in the NA by agriculture minister Lyonpo (Dr.) Pema Gyamtsho on 3 July, 2012. “The Bill will have to wait for the next parliament session so that the amendments can looked all over again and incorporate His Majesty’s Kasho,” said the minister. He said “The review was carried out mainly because of the inconveniences caused during the implementation of the Act. The Act needed to be reviewed in order to maintain consistency with other related Acts and in keeping with developments taking place”. The minister said that to solve all the land related issues all stakeholders related to land were consulted. He said that repeated discussions were done with the NLC. He said majority of the land issues were regarding the sokshing and tsamdro rights which were revised. One controversial change in the Land Bill 2012 is that the old commission members of government secretaries and the Gyalpoi Zimpon have been replaced with ministers. Lyonpo justified that the members were changed since the previous members couldn’t look into all the land related issues due to time constraints. “Removal of Gyalpoi Zimpon from the members of the commission was the source of anxiety for people,” he said. He claimed that had there been Gyalpoi Zimpon representing the Druk Gyalpo in the commission all the decisions taken by him shall be considered as Royal command. He said this would create unnecessary burden on the King who would have to deal with many land issues and disputes. He said that just after the bill was circulated there was a lot of controversy and misunderstanding created by the media. “The MoAF clarifies that the bill is not unconstitutional,” he said. 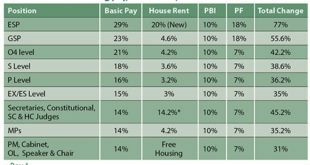 A major source of controversy over the Land Bill 2012 had been on the bill giving land resettlement powers to the cabinet. This was interpreted by many as being akin to giving land Kidu powers to the cabinet in violation of the constitution. The Agriculture minister clarified the governments stand. 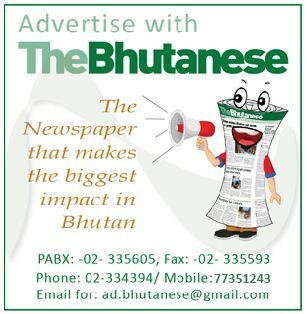 He said that the Chapter VII of the new bill states that granting of Kidu land shall be the Royal prerogative of the Druk Gyalpo which is in order with the Constitution of Bhutan. On the resettlement part the minister said that resettlement land shall be granted only by the Druk Gyalpo if a household wants land from a different Gewog. He said the Cabinet would come in only if a private land was taken by government for some infrastructural development and sa-tsabh or substitute land had to be given. He said the resettlement clause will avoid unnecessarily disturbing the Druk Gyalpo. 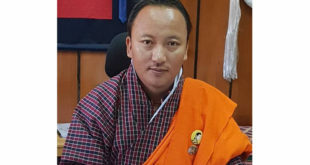 Trongsa MP Rinchen Dorji agreed that bill should see more discussions as chronic land issues are unavoidable and if the bill is passed in haste then it would create inconveniences. Chairperson of the Legislative committee of the NA, Ugyen Wangdi also said that it would be wise to discuss and review the bill in the next Parliament. He said that the bill needed some additional clauses as they were missing. However, apart from the news that the bill would be left for the next Parliament another talking point was a heated exchange between the Prime Minister and the Opposition leader (OL) on the Bill. The OL said that people themselves had bestowed Land Kidu to only His Majesty the King under the Constitution as they were worried that in a democracy no one would be there to take care of their individual concerns. He said there is a NLC formed with secretaries and the Gyalpoi Zimpon to avoid political interference on land administration issues. “His Majesty the King is travelling the length and breadth of the country and already resolving land Kidu issues as per the constitution and to the satisfaction of the people as expressed by them,” said the Opposition Leader. He also said that media reports had communicated the outrage of the public over the Land Bill 2012 showing that they did not want the bill to be revised. He said that there was not adequate time left to discuss the bill. On deferring the Land Bill to the next Parliament he said that the current Parliament had no right to decide what the next Parliament would discuss. The OL said that the Land Bill 2012 should be withdrawn and a joint parliamentary committee be instituted which would study the Kasho and seek guidance from His Majesty who, by the Constitution, is one of the three integral organs of the Parliament, on how best to proceed keeping in mind the welfare of the people and the national interest. 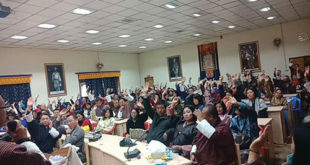 A visibly upset Lyonchhen Jigme Y. Thinley said he was in agreement with what the other MPs said except to some points raised by the OL Lyonchhen, however, unlike most MPs did not directly attack or blame the media. With regard to the OL’s statement on keeping out ministers from the NLC the PM told the OL that Bhutan was a democracy with a democratic government. Lyonchhen said that the OL should be reminded of how the members including him reached where they are today. He said that the MP’s were elected by the people. Lyonchhen said that OL’s lack of trust in politicians is equivalent to his distrust in the people, and democracy. He added that if a member fails to live up to people’s expectation, they have a right to get rid of their representative or the member. The PM rejected the OL’s interpretations on Royal Kasho saying that His Majesty’s recent Kasho clearly indicates that the Land Act needs to be amended. He also said that there was no need for a joint committee to study the Kasho as this was not the practice and the Kasho was clear enough. Lyonchhen said in the current Act, land ceiling for the Royal family members is absent. “In His Majesty’s Kasho, the land ceiling is specifically mentioned as 25 acres including for the Royal families. “Therefore the Kasho wants that to be incorporated,” said the PM. He said that the next Parliament had the right to take up bills that could not be completed in the first parliament. Lyonchhen concluded saying that he agrees that the Bill be deferred for the next Parliament especially in light of the need to incorporate the Royal Kasho. He said time, including the election period can be used by the government to go to the field and ask the issues, problems and doubts of all the citizens on land so that the land bill can be reviewed effectively during the next Parliament. What a joke. How many times do we postpone the change. Why there is no willingness to amend the act though there are many clauses that have become redundant. eg. according to composition of members the Surveyor general is the member secretary but in reality it is the Secretary. Will it have a legal problem?